ABU DHABI, 29th May, 2017 (WAM) -- The Academy of Poetry, under the Committee for the Management of Festivals, Cultural and Heritage Programmes in Abu Dhabi, has published the fourth English edition and the first Italian edition of the UAE dialect dictionary. The first edition of the dictionary was published in English two years ago and was extremely popular with visitors and tourists in the UAE, as well as from citizens and residents from various age groups. 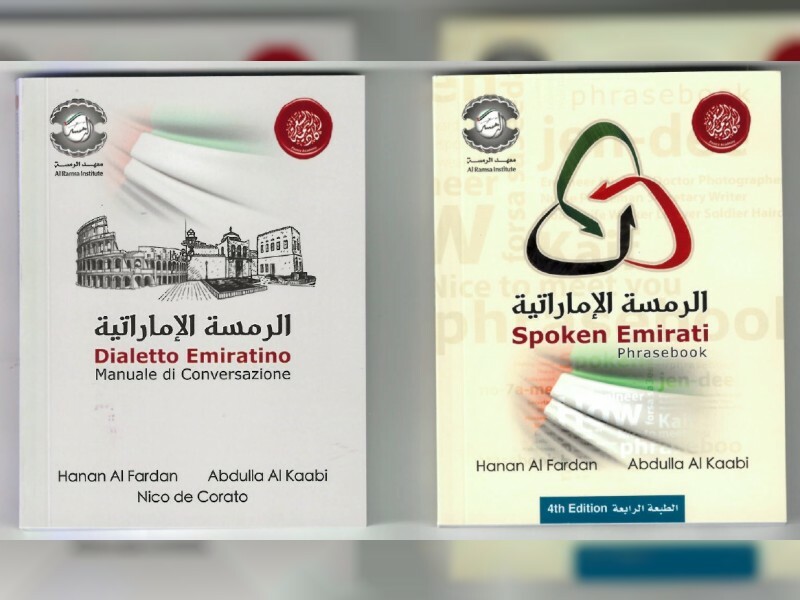 The dictionary includes nearly 1,500 Emirati words translated into Italian and English that non-Arabic speakers use in the UAE dialect in most areas of living, as well as sentences commonly used by members of the UAE community in their daily lives. The UAE dialect dictionary is considered the first academically accredited dictionary of its kind that specialises in the UAE dialect, highlighting the proper ways to pronounce Emirati words to facilitate the use of these words to readers. These words can help to shed light on traditional UAE culture. The dictionary targets foreigners that reside in the UAE and Arabs who are also not familiar with the UAE dialect, as well as UAE nationals who are passionate about their dialect. The dictionary’s introduction includes a quote from Nelson Mandela, where he said, "If you talk to a man in a language he understands, that goes to his head. If you talk to him in his language, that goes to his heart." Hanan Al Fardan and Abdulla Al Kaabi participated in drafting the dictionary, as well as the Italian researcher, Nico de Corato, who participated in the Italian edition.